Here we clearly demonstrate the line that classifies disorders. It’s a disorder when it interferes destructively with your life. 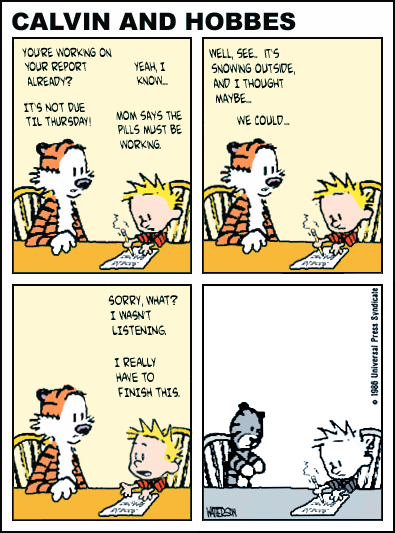 Calvin’s possible disorder only reinforces his behavior as a little boy.